likely resembles our Milky Way, and is one of its largest and closest neighbors. 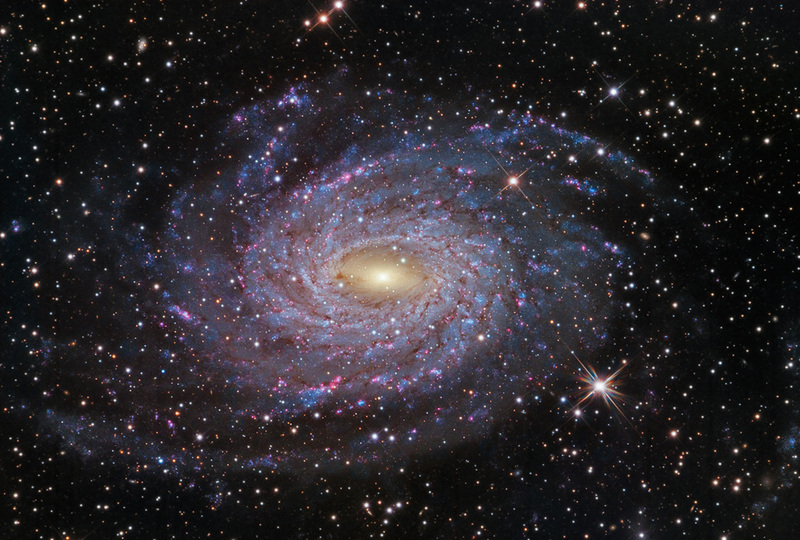 At 30,000,000 light years distance, it is approximately twice the diameter of our own galaxy. Its flocculent (fluffy) arms are rife with pink, HII star forming knots. This data set from 2014, is the second I have processed from the SSRO archive. I dedicate this work to the late Tammy Plotner, who passed away at much too young an age. She was a great friend to astronomy, and a supporter of mine. May you go among the imperishable stars!